And tonight, minus the rain and the lightning, game two commenced … and we won. Two down, two to go. No power outage and there will be a day off, then they will be off to L.A. 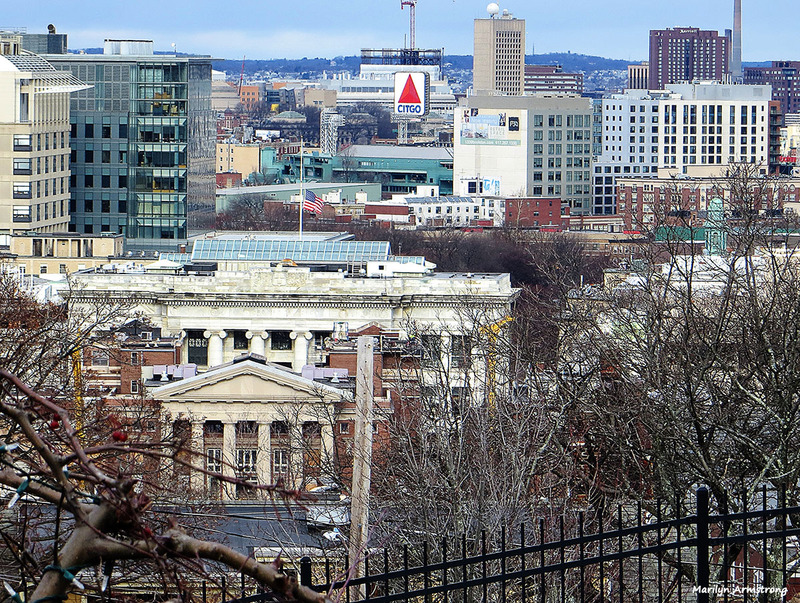 It was 47 degrees (8.3 Celsius) in Boston. It will be hot in L.A. It was a good day. 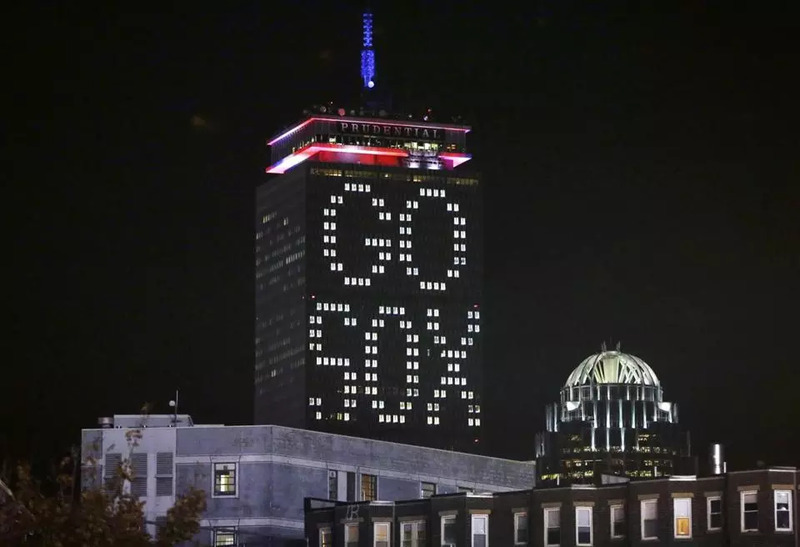 Maybe the Sox really ARE the superpower team? Yes, we won. Again. So far, and even better!! I’ve asked my “Uncle Louie” to supply the music for this piece. So much of what we’ve shared and written this year has been tinged with negativity. It’s the state of our nation and world – greeted by dawn tweets and midnight White House tantrums. Baseball has been my salvation. It has been for most of my life. 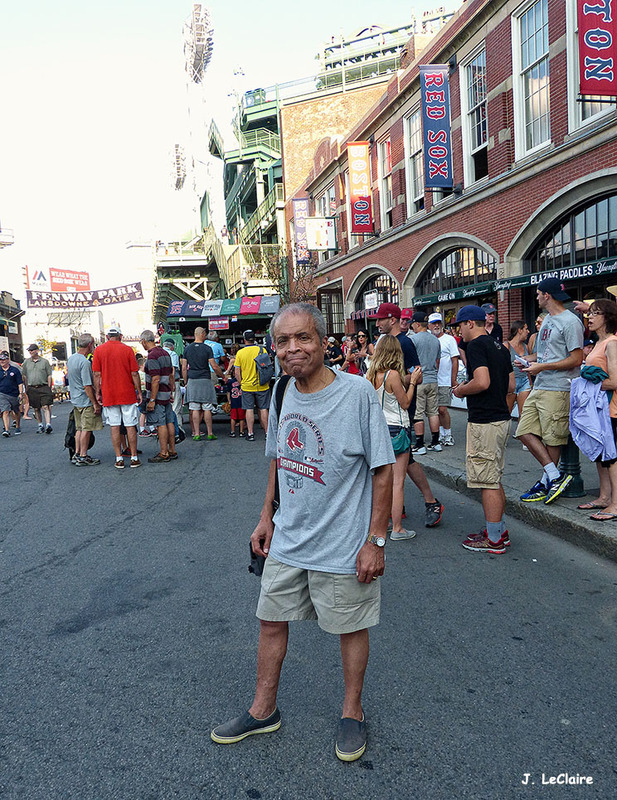 I’ve escaped to the field of dreams from youth, rooting for the Brooklyn Dodgers, to the 20 something years cheering for Casey’s inept New York Mets, to retirement years yelling for the Red Sox to exorcise decades of futility. 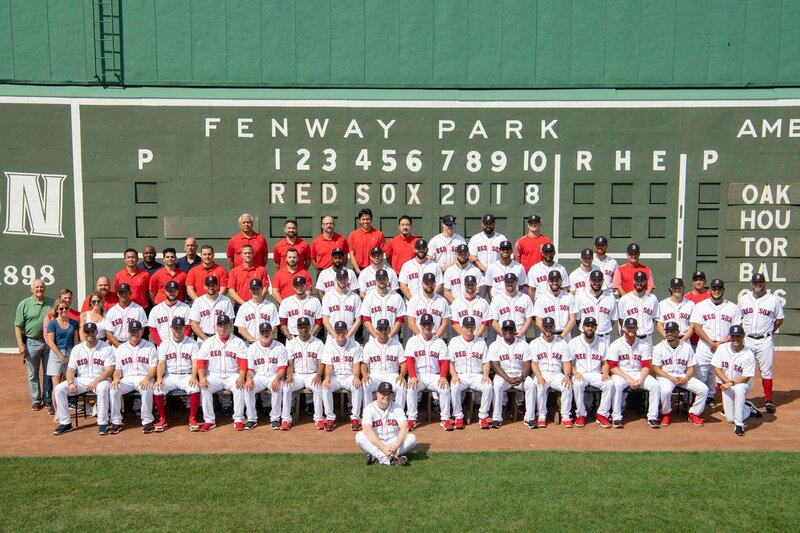 This year, the sons of Teddy Ballgame have produced perhaps the best team ever to play at Fenway Park, exceeding even those early years when Babe Ruth was our Mr.October. Regardless of how the Sox fare in the upcoming World Series, they’ve already given us a season about which we can ponder for years to come. This piece has a different feel for me. I could sprinkle images of past stories with snapshot memories of music, movies, politics. Iconic stories covered along with personal interviews with major players. Not this year. We’re on the outside, looking in. Like regular fans. Our TV baseball package has precluded us from watching Sox games live. We’ve been able to follow all the other teams — except the Sox. Ironically, I’ve seen more games of our blood rivals, the New York Yankees than the Bosox. It’s reduced my nightly high anxiety where I frantically reach for my blood pressure meds as another game lurches on the high cliff of danger. Marilyn is the score updater with reports from her computer as we watch Aussie melodramas or our favorite procedurals. It’s a different feel. Marilyn tells me, “We won again.” I allow myself a sigh of satisfaction and look forward to reading the sports section online the next day. It’s a new world! 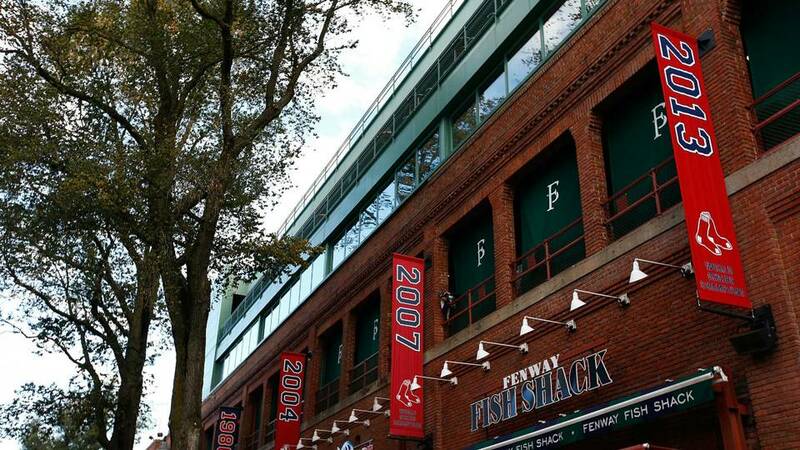 Pundits outside New England are pointing out that the Red Sox are seeking their 4th World Championship in 14 years. It’s the national attitude faced by the Bronx Bombers for so many years. 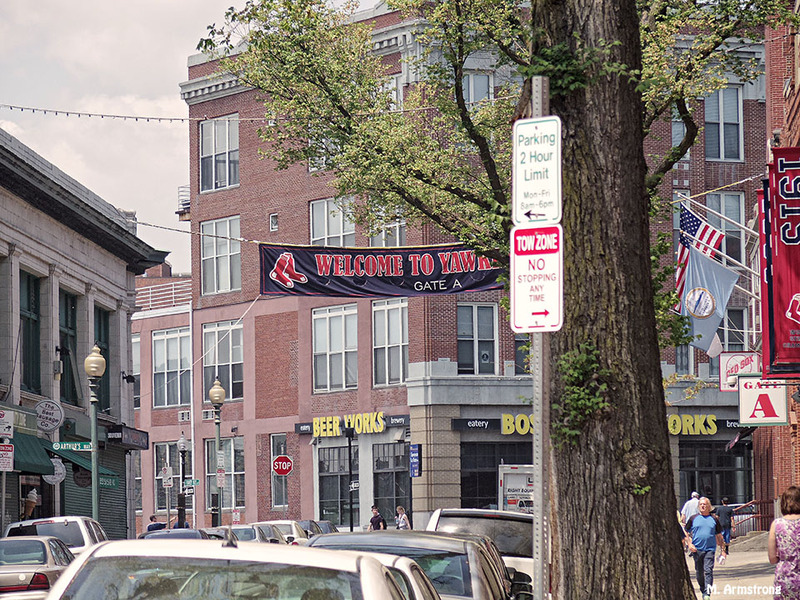 There’s no underdog love for our Red Sox in small towns and big cities across the country as the World Series fervor begins. I look at this year’s Red Sox and smile. A paternal smile. A grandfather’s pride. I don’t have any inside anecdotes. I appreciate the growth and maturation of the players. There’s an irony to how this team is constructed. Mookie Betts, the frontrunner for “Most Valuable Player” honors wasn’t the first choice to be the franchise player he is. When the talented Jacoby Ellsbury bolted from the Red Sox to the Yankees for a mega contract 6-years ago, we felt betrayed again. 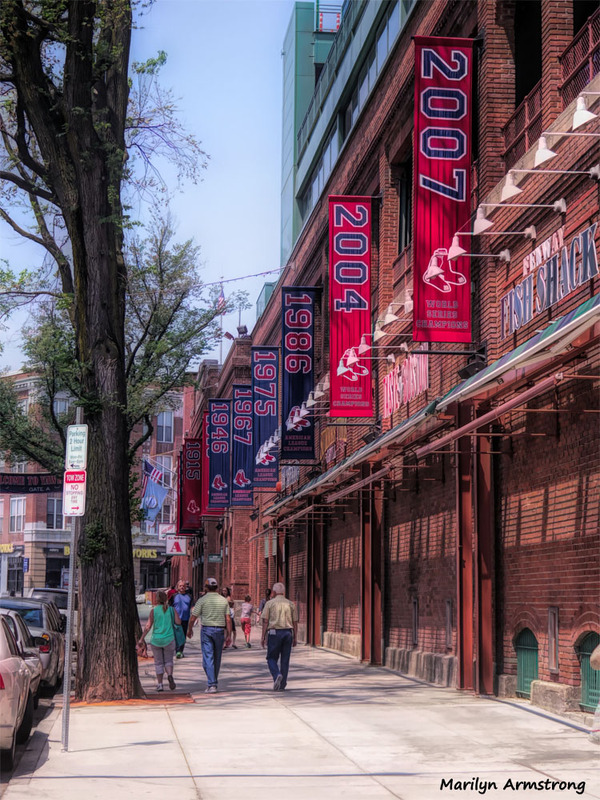 We wondered how Boston would revive its outfield. The Sox Suits said they had a youngster with huge potential. He was an infielder with an impressive minor league career. Fine, but how does an infielder help us with the outfield gap and power loss with Ellsbury’s flight to Gotham? 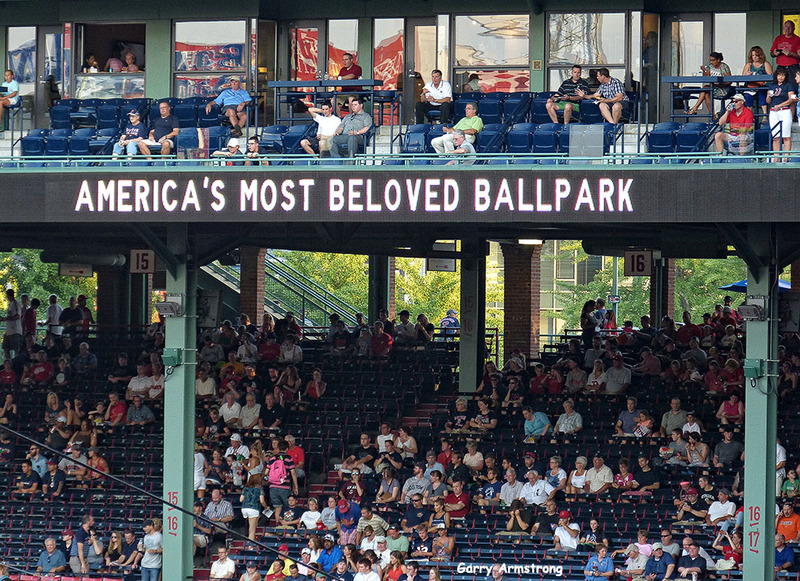 The question rippled with tsunami-like waves across Red Sox Nation. I remember watching a spring training game with a young — very young –Red Sox outfield. Who were these players? Too young to shave and, certainly, not ready for prime time baseball! There was Jackie Bradley Jr. who roamed centerfield like a young Willie Mays. 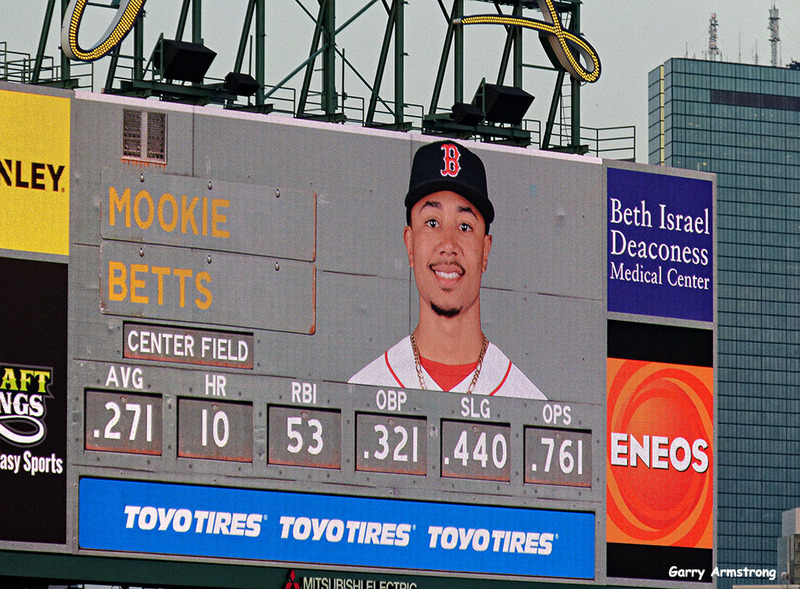 The aforementioned Mookie Betts seemed okay in right field, but there was more interest in his first name than his player bonafides. Many of us wondered if he was related to Mookie Wilson, the one-time Mets star who hit the ball that went through Bill Buckner’s legs in the ill-fated 1986 World Series. Our brave, new world was just beginning. The next five years included a World Series triumph, 3 Eastern Division crowns and 2 (3?) last place finishes. These guys were definitely the spawn of Dr. Jekyll and Mr. Hyde. Meanwhile, the Yankees were overhauling their team and presenting baseball with an intriguing collection of young sluggers. We were scared out of our retro Red Sox. I admit to angst and anxiety all winter as I watched the video and stats of these youthful Pin-stripers. Aaron Judge, Gary Sanchez, Greg Bird, and the newly acquired Giancarlo Stanton who’d come close to 60 home runs as the National League MVP last year. Surely, New York would crush the Red Sox like Rob Gronkowski plowing through a defensive line of mortal defense players. It didn’t look good as the 2018 season rolled around. I avoided reading pre-season predictions, something that was a rite of spring for most of my 76 years. The Yankees were the flavor of the year team, biding their time to acquire their 28th World Series title. My anxiety ramped up when I realized our baseball TV package excluded live Red Sox games. Surely, that was a sign. I wouldn’t be able to see the Sox doomed chase of the Yankees. The Red Sox won the regular season opener. An olive branch, I thought with cynicism creeping through my fevered fan’s brain. But the Sox kept winning. Game after game. Injuries and illnesses, they kept winning. Meanwhile, the vaunted Yankees stumbled off to a mediocre start. 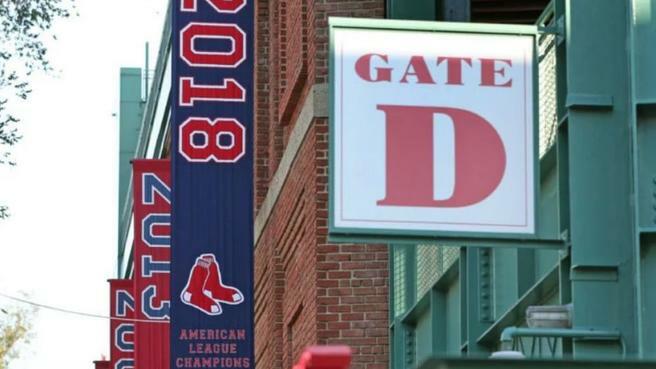 A month into the season, the Red Sox were in first place and had established a nice distance from New York and every other American League Eastern Division team. Soon, the Sox, aka “The Sawx” to sports journalists outside New England, were highlighted nightly on the national sports outlets. 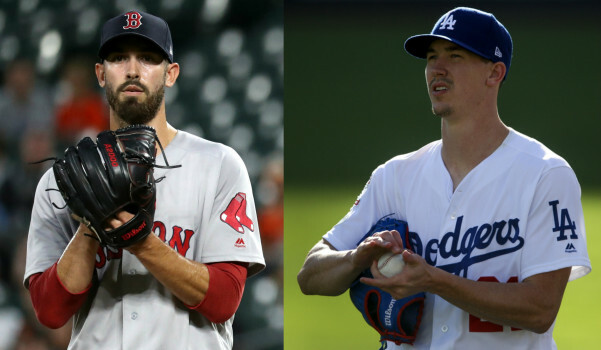 Old beisbol-wise guys were marveling over J.D. Martinez who was everything and more as our big-ticket free agent slugger. 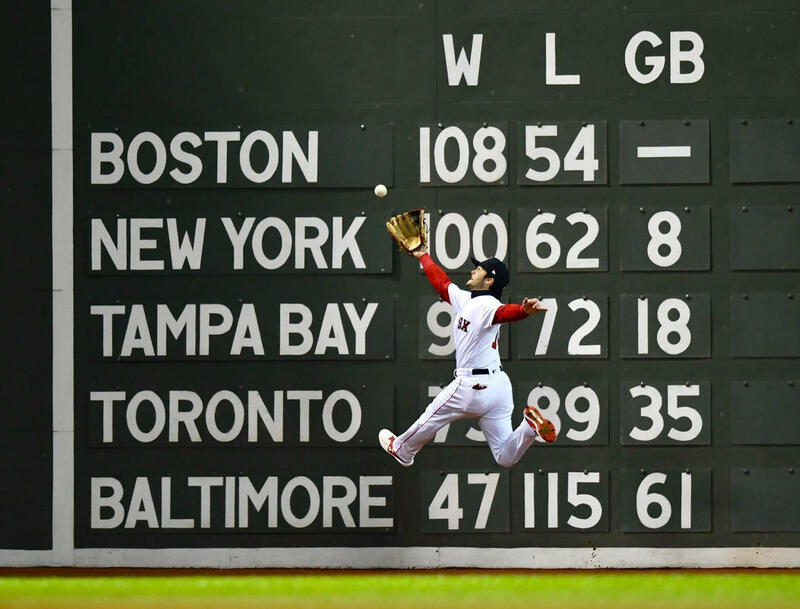 Boston’s “3 Bee” outfield — Andrew Benintendi, JBJ (Jackie Bradley, Jr.), and **MOOKIE** Betts were making highlight-reel defensive plays and mashing the horsehide with incredible regularity. 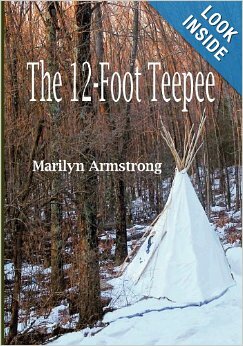 Marilyn wasn’t so sure and kept commenting, “We are playing really well, you know? 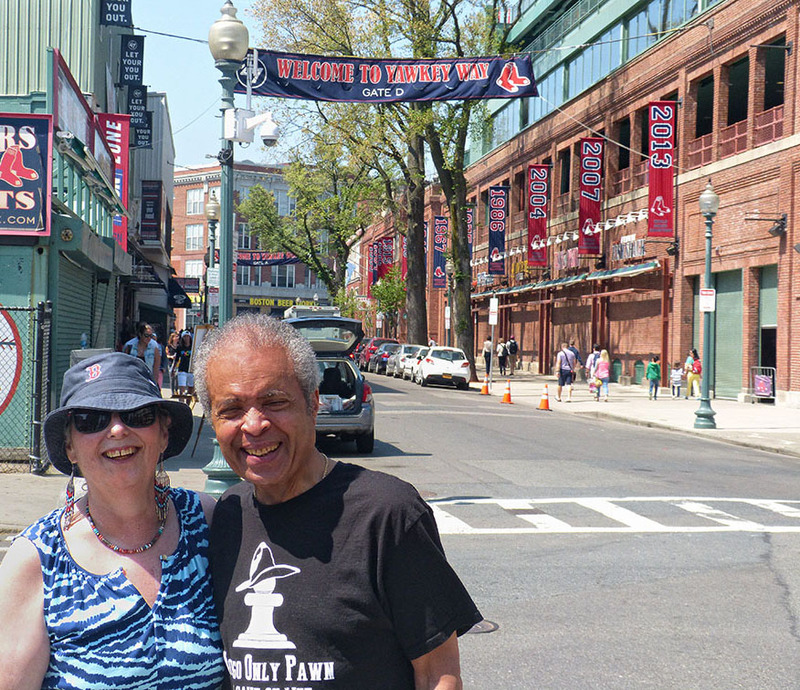 Like … all the time.” We, the skeptics, were exposed as the Sox continued to roll through the regular season, spiced by a late August sweep of the Bronx Boys that left us giddy in Red Sox Nation. I noted, with surprise, that the Sox were doing all “the little things” that mark a championship team. They were disciplined and aggressive at the plate. They ran the bases with abandon and played defense like never seen before, at home and on the road. They even BUNTED – something akin to walking on water in New England. Rookie manager Alex Cora, a former utility player and member of past Sox teams, pushed all the right buttons. He utilized all the players on his roster. Cora had the respect of players who “dissed” previous managers. He didn’t shirk from pulling pitchers who were tiring but nonetheless argued to “get one more inning.” That argument had severely cost previous managers and Sox teams. Cora was honest and straightforward with players as well as upper management and media. He was a breath of fresh air from the “Bull Durham” baseball clichés of the past. 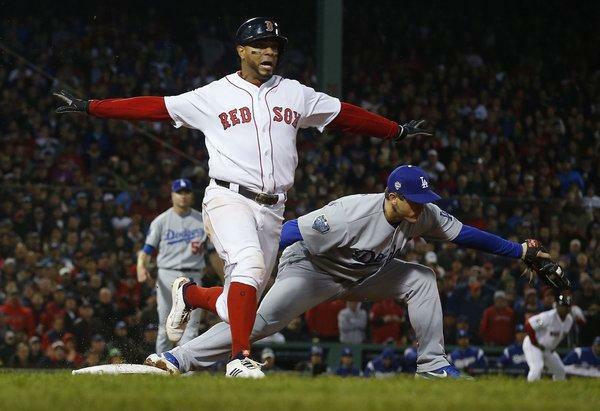 Boston, to almost everyone’s disbelief, in and outside of Red Sox Nation, swept past the Yankees and defending World Champions Houston Astros, to await the World Series with the Los Angeles Dodgers as their opponent. The Dodgers soundly defeated the stubborn Milwaukee Brewers to advance to baseball’s biggest stage. It’s going to be a very interesting series. Many of us have a tinge of Dodger Blue from our childhood days as Brooklyn Dodger fans. The Boys With Mics are calling the Dodgers underdogs because they haven’t won a World Series in 30 years. Not since Kirk Gibson’s iconic home run off Dennis Eckersley. The Cathedral of Baseball is open for business! 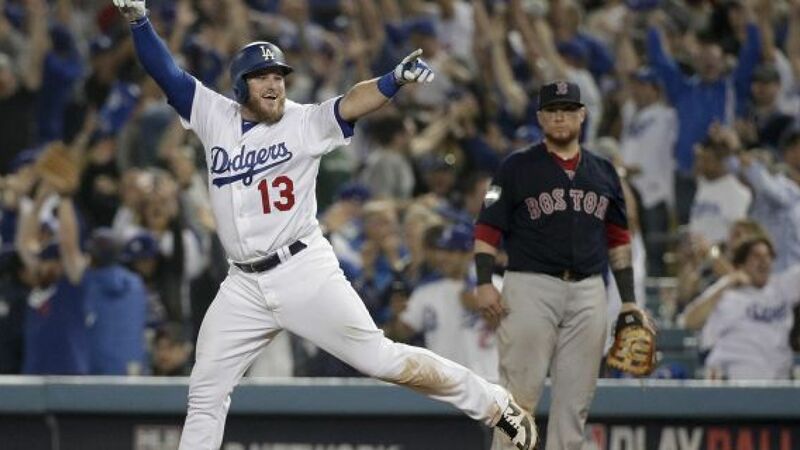 A moment remembered with Vin Scully’s perfect line: “In the year of the improbable, the impossible has happened.” Here’s hoping the now-retired Vin Scully graces Boston and offers a few more memorable game descriptions. The Cathedral of Baseball is open. It’s diverting our attention from a world gone crazy. Here’s to the Boys of Summer who’ve made this Autumn our field of dreams. Today ought to be the fourth game of the World Series. The actuality of this event will depend on the weather in New York and Boston. It is supposed to rain in both cities, so I suppose it’s a matter of exactly how much rain. It will have to be a real deluge before they will call a game of this magnitude … but players get seriously hurt on wet fields, so the possibility is up there. Assuming the games go forth, those of us who have continued to believe throughout the long season are also pleasantly bemused. Brad Penner-USA TODAY Sport- After suffering two crushing defeats at the hands of the defending AL champs, the Yankees send Masahiro Tanaka to the hill to stop the bleeding and help them get back into this series. Both the Red Sox and the Yankees were two games to nothing when they got to this coast. That’s bad in a five-game playoff series. If you want to be realistic about it, it’s probably fatal and your team is about to be washed out to sea. Again. Instead, both Sox and Yankees pulled game 3 out of the bag. We won. Now the standings are two-to-one for both teams. Everyone, including us, had assumed the American League playoff would be the “real” series this year. Houston and Cleveland are powerhouse teams. They’ve got it all — pitching, hitting, fielding. As far as hitting goes, the Sox are wildly out-gunned. If David Price hadn’t come into the game yesterday and shut down Houston, there would be no game today. Ditto for the Yankees. Ending in a huge 10-3 victory for the Red Sox! Mind you, we aren’t so deep in the denial and belief bag that we are sure we are going to win the whole thing. In any case, we have to remind ourselves that only one team from each league team will go to the series — and only one will win in the end. Everyone else, no matter how terrific they were all season, goes home and dreams of summers to come. But this is the time for belief. Maybe it won’t happen but it is nice to have this spark of hope and a little glow of wonderment. There hasn’t been a lot to believe in — or much we could see as wonderful this year — or last year, either. We need this. Even if it’s just for a game or two. I am a lifelong baseball fan. 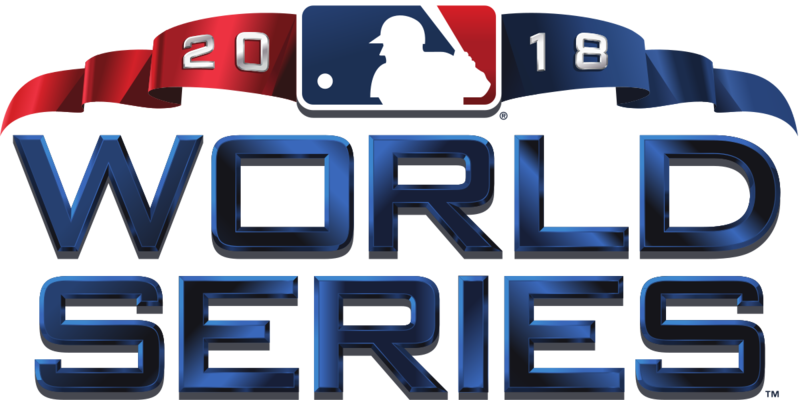 When October rolls around, I can smell baseball in the wind, I can hear it in the rustling autumn leaves.It’s World Series time again! 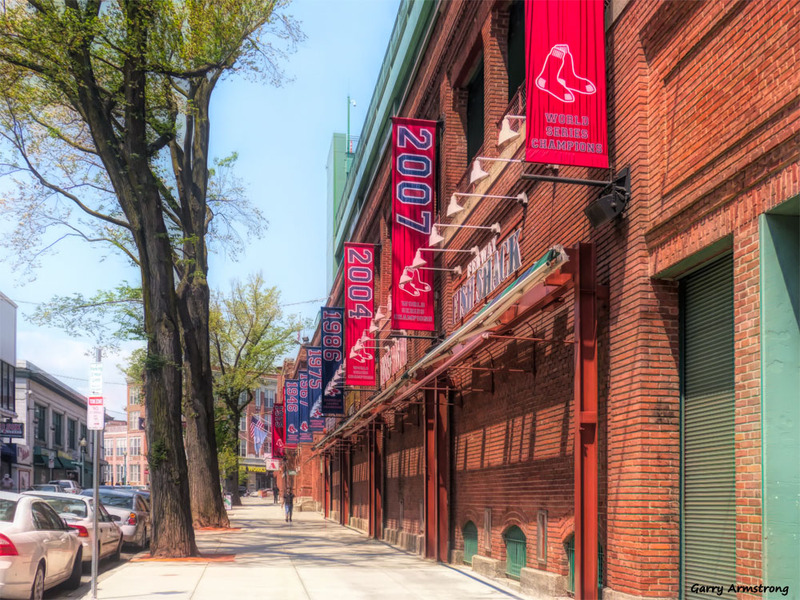 The Red Sox are not playing in it, but that doesn’t mean we can’t cheer from the sidelines. It’s been a long time since either contending team had a Big Win. Even though our team isn’t in it, it has been an interesting season. Last year’s last place Sox made the first round of this year’s playoffs. How did they do that? How do you take a losing team and become an (erratically) successful team in one year? Two years ago, they went from world champions to last place in a season, so I suppose the magic goes both ways. They achieved the leap both times without major lineup changes or anything weird happening with owners. Improved esprit de corps? Better coaching? Something in the water? 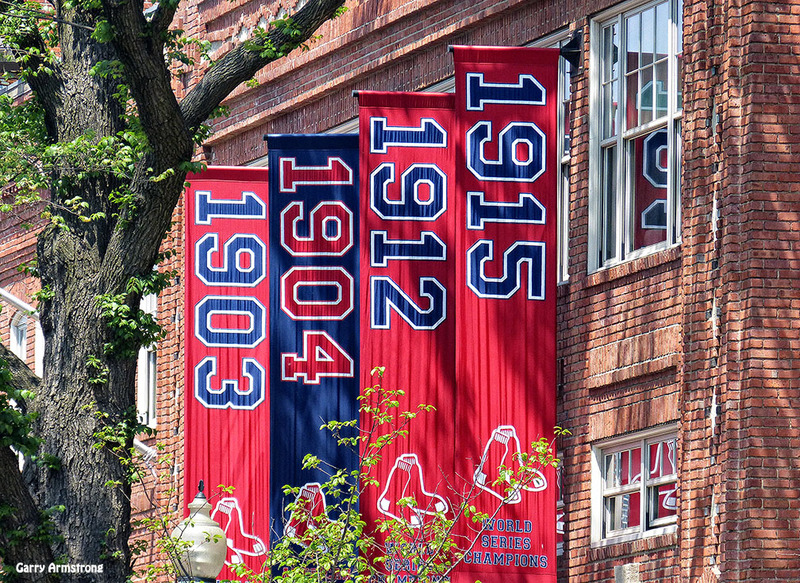 Wanting to give Big Papi a great send-off? But, I digress. Spectator sports give all of us less talented lovers of the game a chance to participate, if not on the field, at least in the recliner. We all yearn for our personal “walk-off home run” at the big game. These days, it might be a really great night out at our favorite Sushi bar … or a little spare money to spend on something frivolous. Maybe a new lens for one of the cameras? Mind you, we are not unhappy. Life continues to be engaging, entertaining, amusing, satisfying. Fun. We’ve had to adjust. Find different ways to have a good time. We aren’t going to be partying all night (did we ever enjoy that, really?). Or taking long road trips. Life is not picking on us personally. Everyone has to adapt. We change. Our world changes. Unless you want to be one of the people who sits around grumbling about the “good old days” and how nothing is as like it used to be, we need to find things to enjoy and new ways to do them. It requires an effort of will to make it happen … and maybe a bit of creative thinking. Meanwhile, back in the stadium, the grand game — America’s Pastime — is being played out for our great enjoyment. The leaves may be falling from the trees (it was a spectacular display this Autumn), and to top it off, like the cherry on top of the banana split, we get our October classic … which could possibly run into November (but most likely, won’t). Okay, all of these philosophical meanderings are prologue to the Frank Capra-resque World Series which begins tonight. The long-suffering Chicago Cubs versus the blue-collar Cleveland Indians. It’s Gary Cooper against Henry Fonda. Plenty of heroes and no villains except maybe the umps. It’s the sons of Tinker to Evers to Chance taking on the ghosts of Bob Feller, Al Rosen, Larry Doby and Vic Wertz. I was collecting my first baseball cards when the Indians last won the World Series in 1948. My maternal Grandfather had just turned 21 when the Cubs won their last World Series in 1908. I still remember the stories he shared with me about those long ago Cubbies when I was still wearing short pants. In those days, we wondered if our beloved Brooklyn Dodgers would ever beat the dreaded Yankees in the World Series. Thus began a lifetime of always rooting for the underdog. Angst has ever been a part of my DNA while rooting for my teams. So often defeat has been snatched from the veritable jaws of victory. I felt nearer my God to thee when my hero Duke Snider and Brooklyn’s Boys of Summer finally defeated the damn Yankees for the 1955 World Series. Apple-faced southpaw Johnny Podres was the unlikely pitching hero. Forty-nine years later, I stared in disbelief at the television as the Boston Red Sox won their first World Series after 87 jinxed years. It was the icing on the cake after a historic comeback in the American League Championship Series against the Yankees, finally exorcising the curse of the Bambino. I recall describing my love of baseball to Teddy Ballgame, the legendary Ted Williams. Williams didn’t usually spend time with the media. But Teddy and I shared a link to John Wayne who I’d met and with whom I’d shared stories about legends. Duke admired Boston’s #9 and Williams liked Wayne’s no-nonsense screen heroes. The movie “Field of Dreams” comes closest to capturing my love affair with baseball. Beyond your favorite team, there’s the love of the game, its complex drama and generations of heroes. 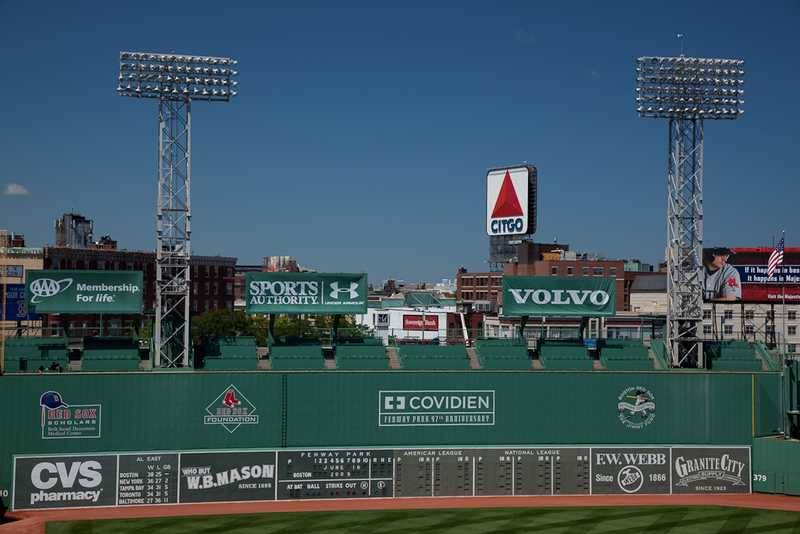 It doesn’t take a Hoyt Wilhelm-Tim Wakefield knuckleball to understand why baseball is a religion for some of us, especially in this year of political upheaval. The Cubs-Indians World Series will be a breath of fresh air from the toxic world of Orange Head and his minions. See you at the park. Let’s play ball!